12V / 24V DC. 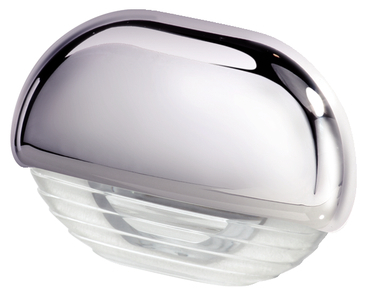 low profile and attractive LED lamps for lighting of interior and exterior areas. Low power consumption, completely sealed with a long service life, these LED courtesy lamps are the choice of leading boat builders worldwide. Light is radiated downwards at 30 degrees. the shallow mounting depth and round mounting shape allows quick and simple installations. White lamp.